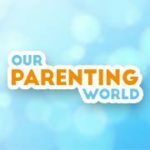 Singapore’s first kids-focused running event is back on the 20th of May at Palawan Green, Sentosa! Here’s a chance to introduce your children to the world of healthy and active living and treat them to a jam-packed day filled with fun activities. 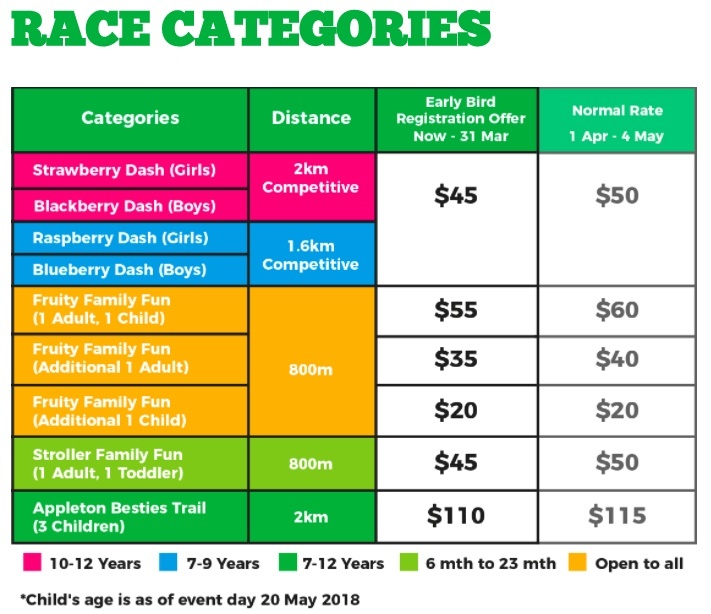 You and your little ones can choose from nine fun-filled categories – Challenge your little budding athletes in the competitive 1.6k or 2km Dash categories. Alternatively, run as a family in our Fruity Family Fun and Stroller Family Fun categories! This year, Cold Storage Kids Run will also be introducing an exciting new category! The Appleton Besties Trail, a fun and challenging obstacle course. Each team consists of three children working together to go through the course as they learn about food and the value of teamwork. Want to be ahead of the race? Why not sign up for the running workshops – Running A-Z, where you can learn fundamentals such as functional fitness and nutrition. Already a veteran? sign up for the Breakfast run with groups from all parts of Singapore. Free entry into Sentosa, Goodie Bag worth $50 (Includes T-Shirt), Medal, Finishers’ T-Shirt (For competitive category only), Sentosa F&B and Retail vouchers, Discounts on selected Sentosa attactions. With all the fun activities that await you, why hesitate? Sign up now! We have THREE running slots for 3 lucky readers up for grabs including race packs and you will get to choose to participate in any run category of your choice. Hurry, giveaway will close on 30 April 2018 at 23:59Hr. Winners will be announced and notified on 4th May, please check this space for announcement.